The 2018 Randox Health Grand National goes underway at Aintree racecourse on Saturday 14th April 2018. 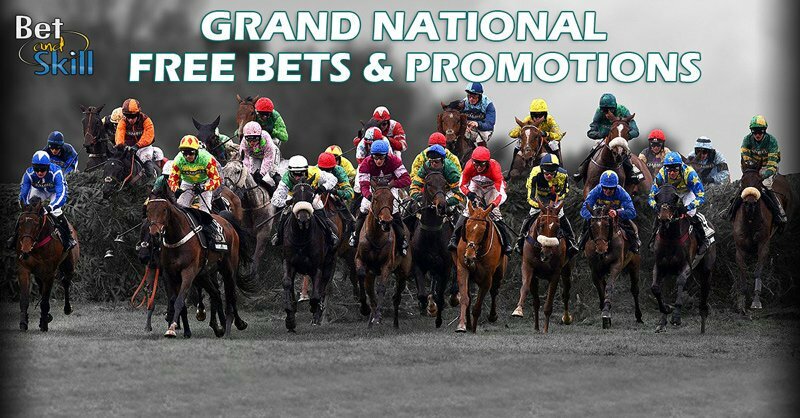 We share our 2018 Grand National betting tips and free predictions to set you apart from the crowd and make you a winner. 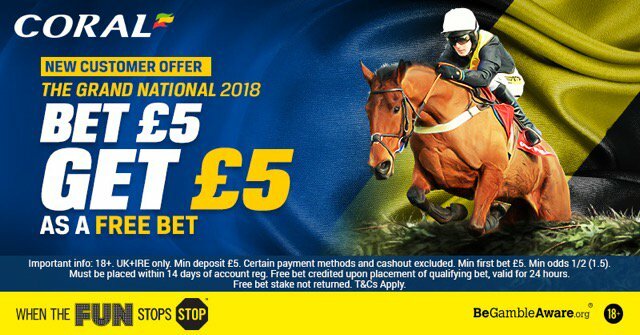 Find here also a horse by horse guide, pinstickers, the best odds, betting promotions and no deposit free bets on the Grand National 2018! The Grand National is the longest race of the year and one of the most daunting. A maximum of 40 horses will tackle 30 jumps over a trip just north of 4m 2f where the winner will scoop a monster £500,000. Once again people will be tuning-in from all around the planet to watch one of sport’s greatest spectacles. 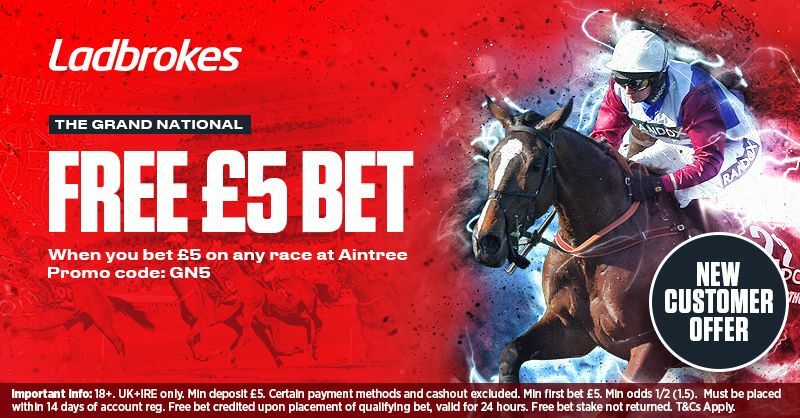 Along with those watching at home a 70,000 strong crowd will be at Aintree racecourse to cheer on the horses from the first fence to the final furlong. 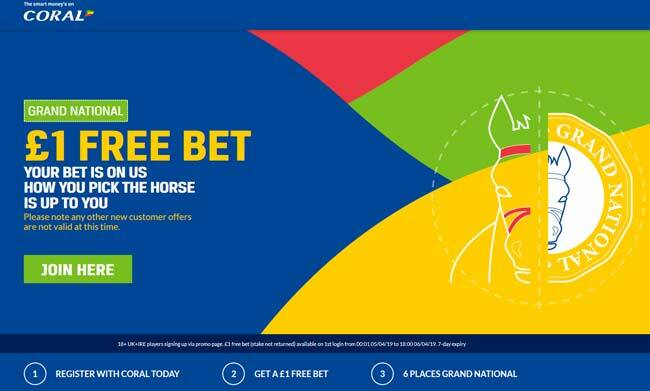 The Grand National 2018 is famed for its unpredictable nature and it's estimated that a quarter of the UK adult population will bet on this year's renewal. Our horse racing professional punters have taken a closer look at this race and try to determine which horse is likely to prevail. Are you looking for all the 2018 Aintree Festival predictions? 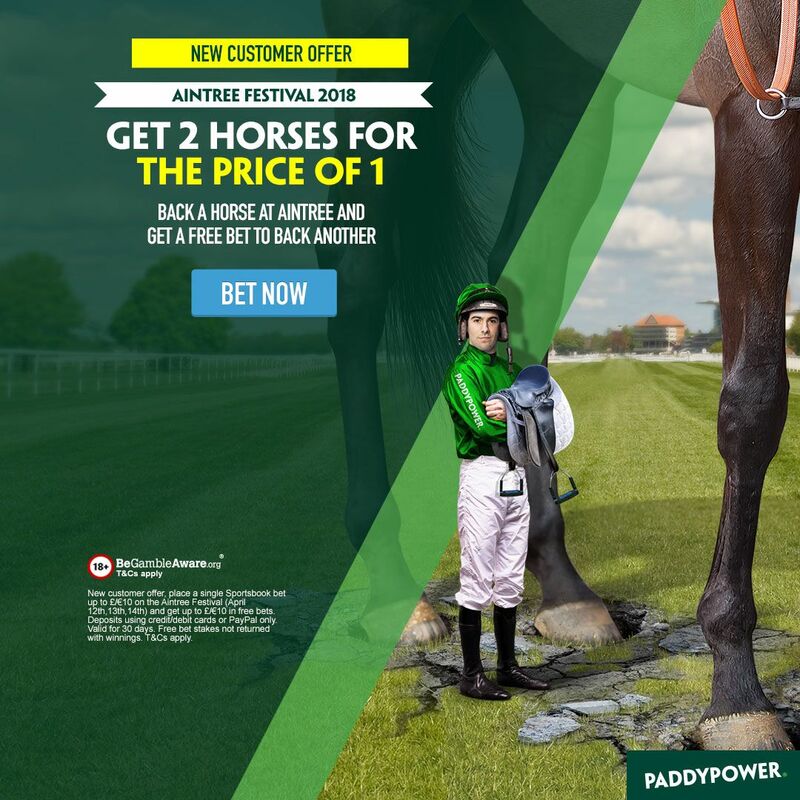 Visit our Aintree betting tips section here! 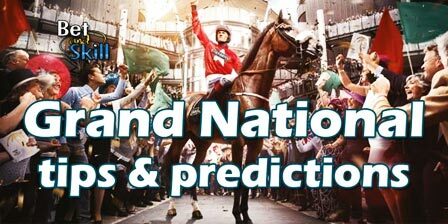 "2018 Grand National betting tips, predictions and odds (Aintree Festival - 14th April)"